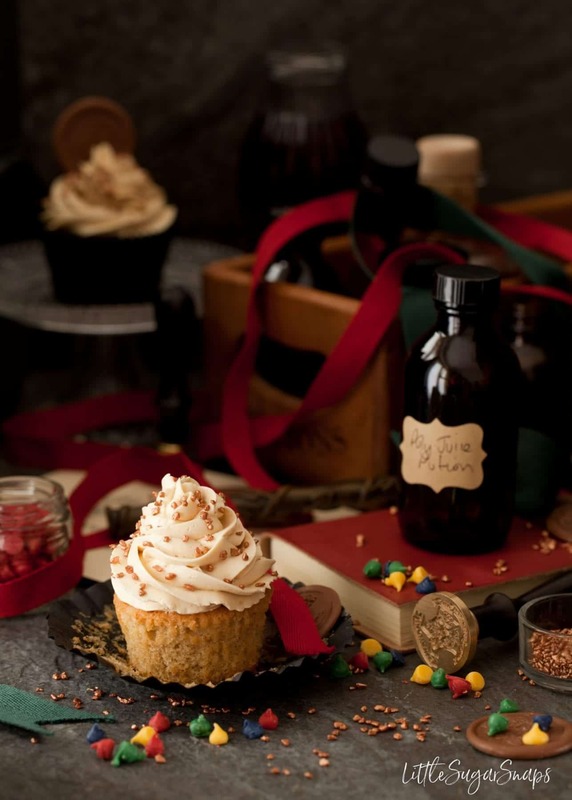 Sorting Hat Cupcakes are immense fun for Harry Potter fans. 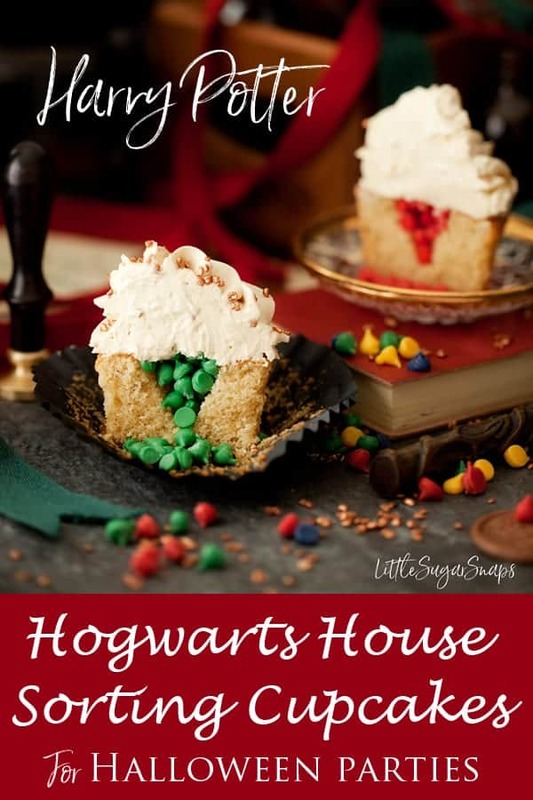 Each brown sugar cupcake is filled with a stash of red, green, blue or yellow candy drops, (representing each of the 4 Hogwarts houses) which remain hidden under a swirl of butterbeer flavoured buttercream until bitten into. It’s a fun way for fans to find out their house. One thing I never thought I’d find myself writing about on my blog is a themed cake. 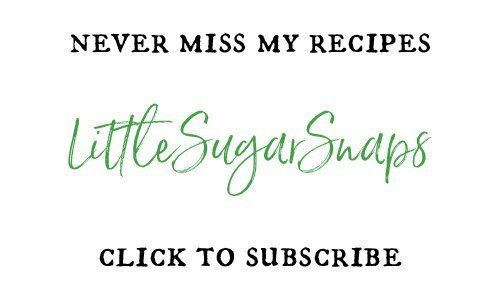 Believe me, I have had to rise to the challenge of baking plenty of whacky party cakes over the years, but I never expected one to make it onto LittleSugarSnaps. It’s just not what I normally like to write about. 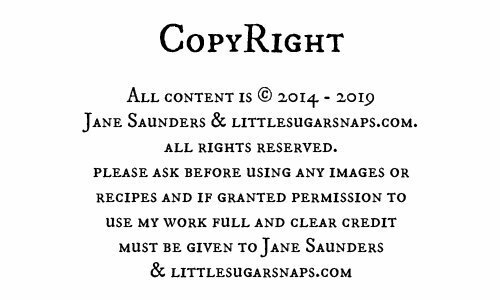 But here I am, laden with a large stash of photographs for some cupcakes that remain eternally popular with my children and their friends: Harry Potter Sorting Hat Cupcakes. Let me get straight to the point. 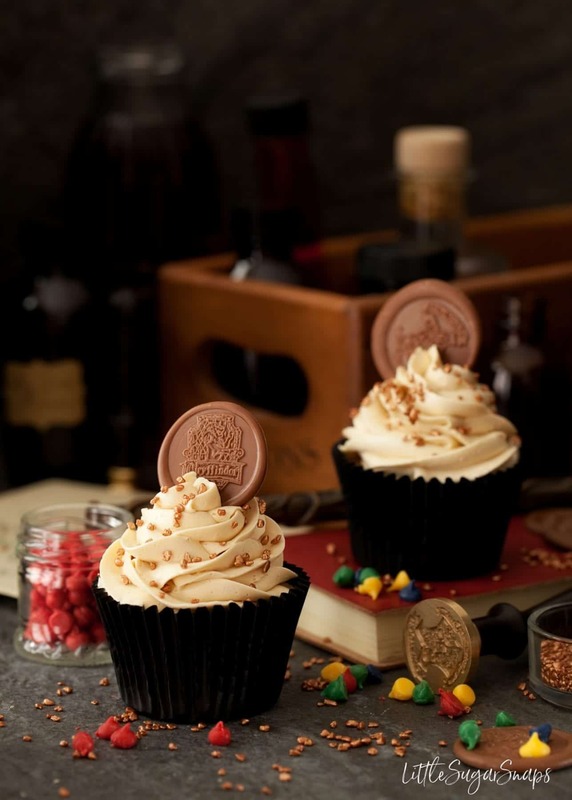 These cupcakes are the epitome of edible fun. They are guaranteed to get excitement levels up for any Harry Potter fan (even adults). What could be more fun than biting into your cake, discovering you have been placed in your favourite house (or not) and then comparing how your friends have fared. 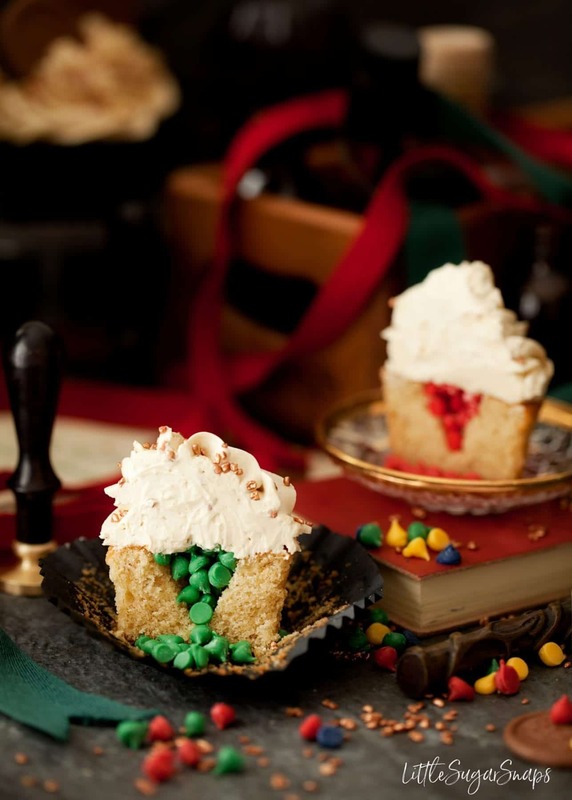 These Sorting Hat Cupcakes are a brilliant choice for serving up at a Harry Potter themed party. 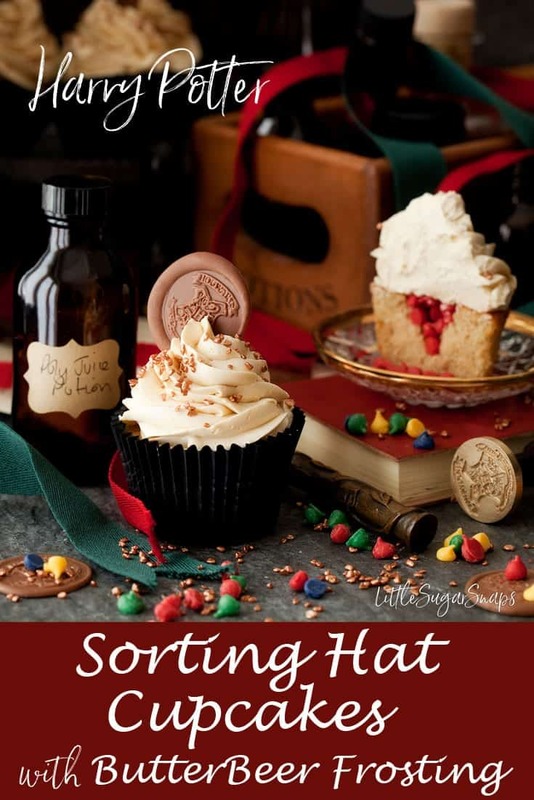 The recipe for these Sorting Hat Cupcakes is certainly one that has evolved since the first time I made a batch. 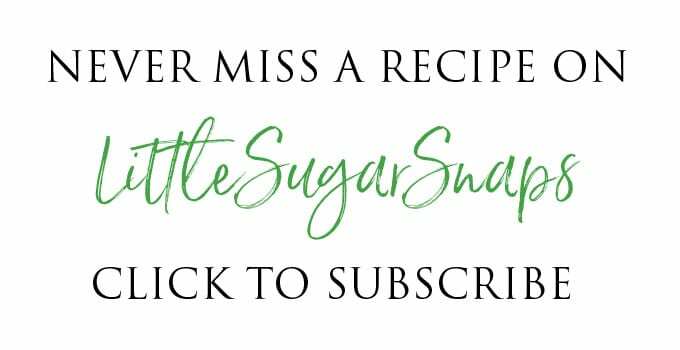 My original bake was inspired by those created by Sugar Bean Bakers. I used my standard chocolate sponge recipe and a regular vanilla buttercream. But since my children have a penchant for piñata cakes (sometimes with disastrous consequences) I did switch out the sweet cream filling and used M&Ms in its place. The trouble was that after the cakes had sat for a few hours, the colouring from the sugar shell on the sweets began to bleed. The kids didn’t mind, but this kind of messiness really niggles away at me. Two more large batches of Sorting Hat Cupcakes followed a few months later for birthday parties. This time I opted for candy melts in place of M&Ms. I melted the candy down and piped tiny drops ready to fill the cakes. Bingo. No leaking colours this time around – the colour remained consistently punchy & vibrant. 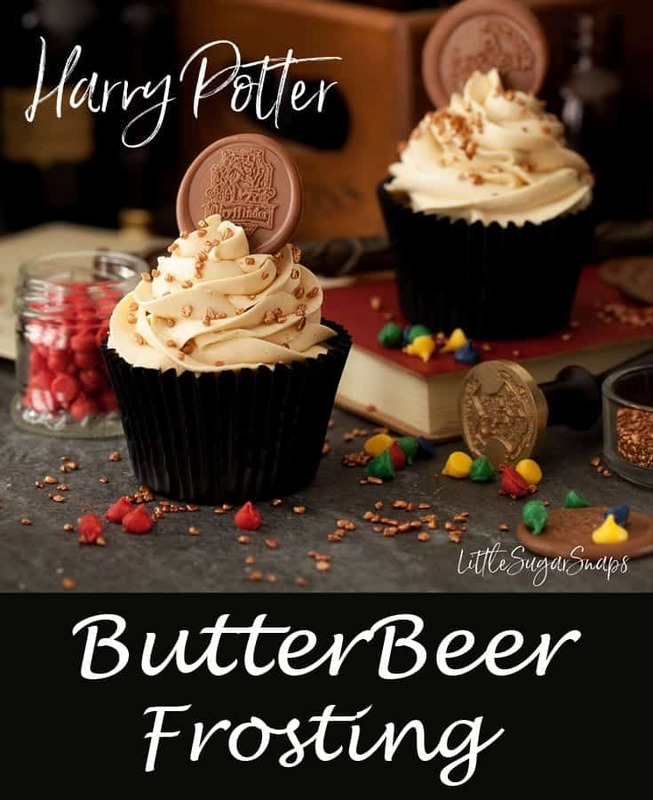 More recently, I decided to rethink the cake and the buttercream to give them both a flavour Harry Potter would approve of – butterbeer. Since butterbeer is described as tasting of butterscotch and cream soda, I decided to make some butterscotch up and add it to my vanilla buttercream. 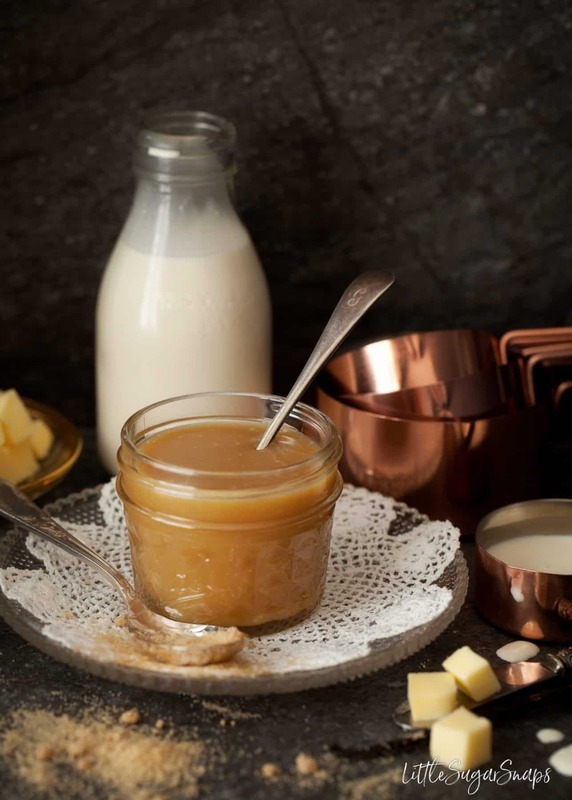 The butterscotch sauce is smooth and lusciously buttery. In fact, it’s perfect drizzled over ice cream, but you’ll need to make a double batch to have enough for that. 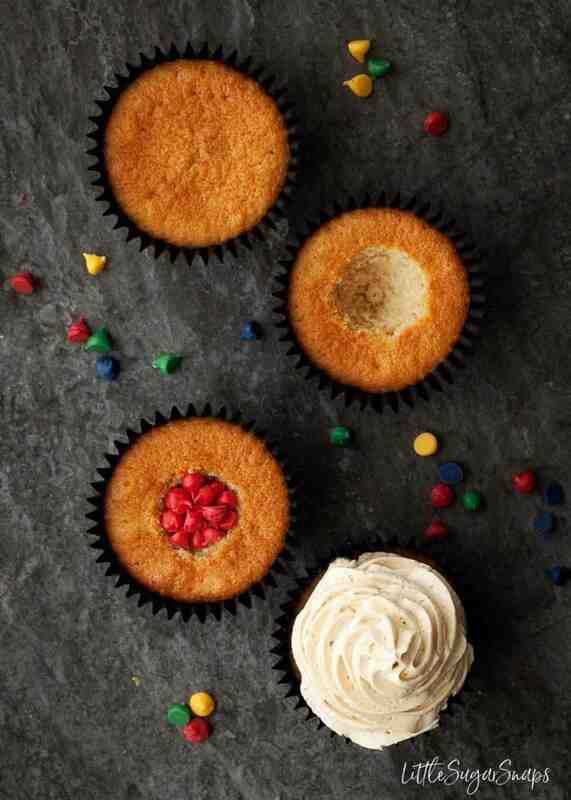 When added to vanilla buttercream the result is sweet yet deliciously creamy and buttery too. I stuck with the butterscotch theme in the cake and used its main ingredient – brown sugar – in place of regular caster sugar. There’s also some vanilla in the mix and I definitely recommend sticking with butter rather than using baking margarine as a substitute. Up until a few days ago, I had intended to pipe some sorting hats from chocolate and stand them up in the buttercream. However, in the final hour I came across a tutorial for making chocolate coins from wax seal stamps. And oh, sweet joy, Milly had a pair of Harry Potter wax seals bought her for Christmas – one for Hogwarts and one for Gryffindor. These cakes were just meant to be. And that’s the evolution of these Harry Potter Sorting Hat Cupcakes in a nutshell. Even though my children have been served these cakes numerous times now, the thrill of biting into one and finding their Hogwarts House does not seem to have diminished. Naturally, they both always want to get red for Gryffindor. And, predictably, each child guffaws at their sibling should they end up with a Slytherin cake. They can just about cope with being labelled Ravenclaw or Hufflepuff. 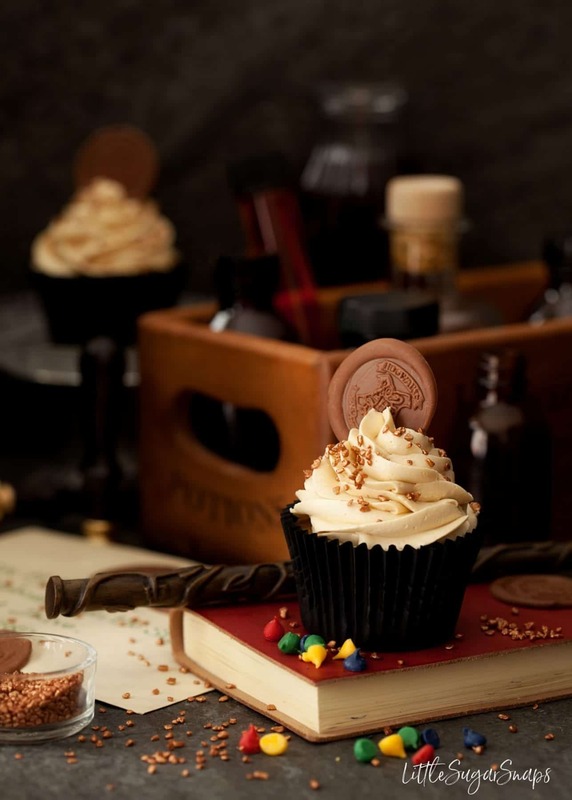 Sorting Hat Cupcakes are immense fun for Harry Potter fans. 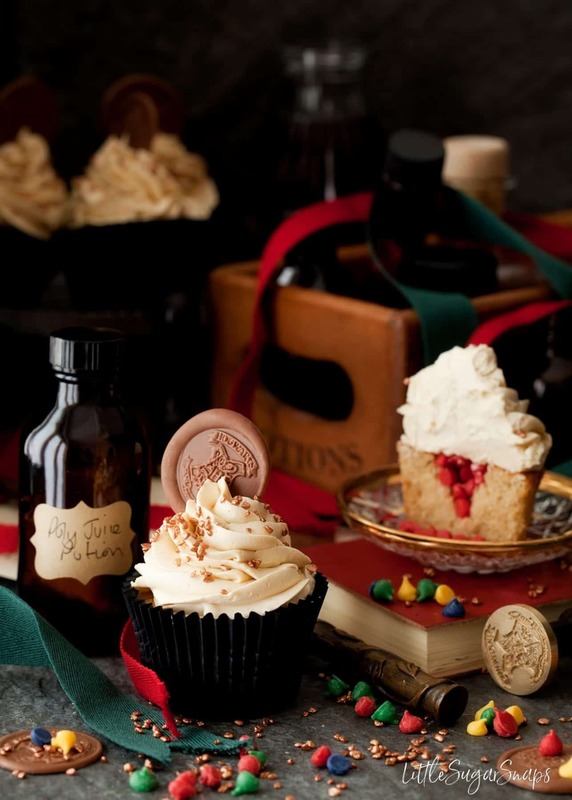 Each brown sugar cupcake is filled with a stash of red, green, blue or yellow candy drops, (representing each of the 4 Hogwarts houses) which remain hidden under a swirl of butterbeer flavoured buttercream until bitten into. 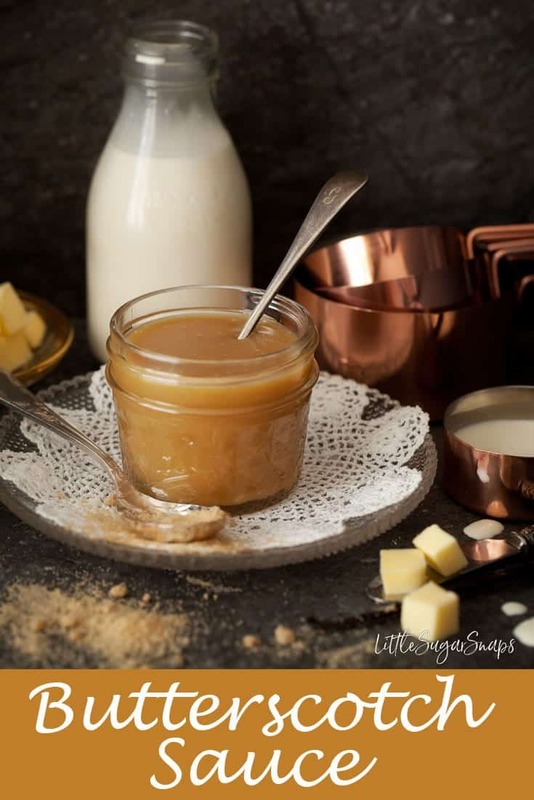 Do make the butterscotch sauce well ahead of time since it does need to cool and chill prior to being added to the buttercream. 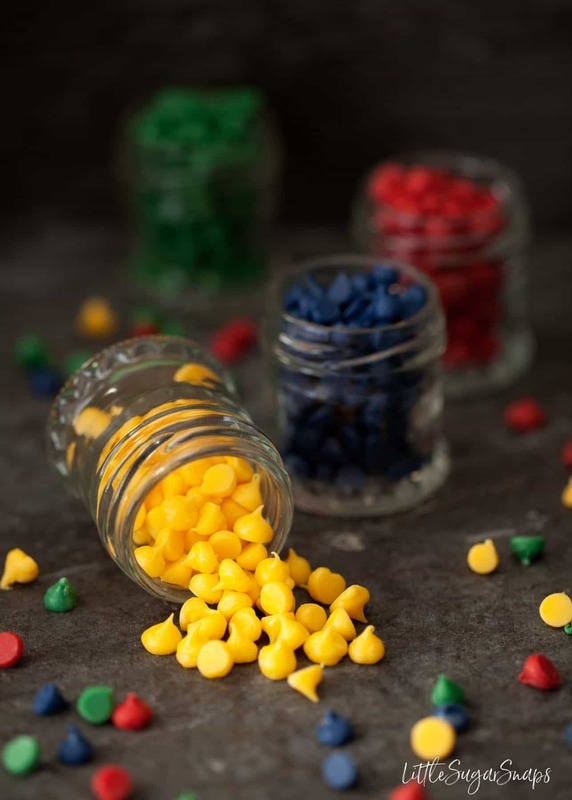 Repeat for the remaining colours (ensure you wash and dry your piping bag and nozzle very well to avoid colour contamination). No detail was forgotten! These cupcakes are incredible!!! I hope so! Thanks Liz. 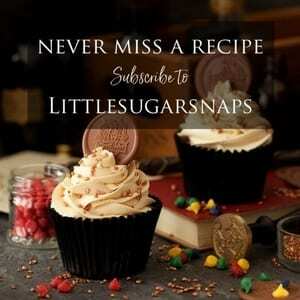 These are adorable and sounds like you’ve taken great steps to get the recipe just right! I ordered a stamp as soon as I saw your lovely IG post:)!I have made choco seals but never HP..Brilliant and THANK YOU..
You have to take some pictures too Monique – I’ll be looking out for them. And thankyou – maybe next year. Every year I don’t win it makes me push myself that bit harder. as a harry potter fan, these are probably the damn coolest cupcakes I ever seen!!!! i freaking LOVE them! I got Slytherin – humph!! However, the cake was very worth it!! 😐 Better luck next time!